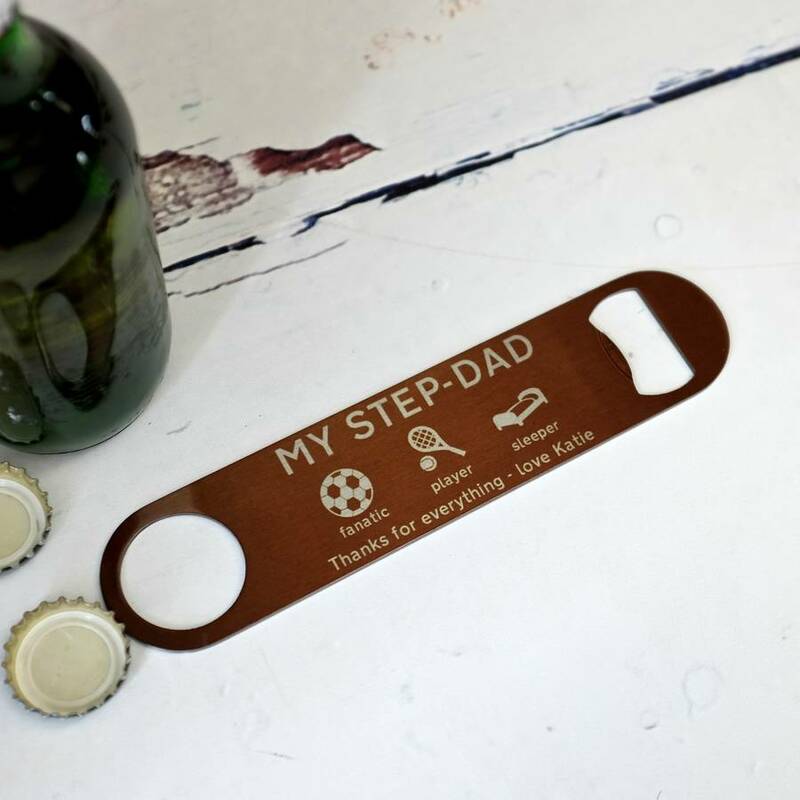 Auntie Mims has designed this personalised bottle opener exclusively for notonthehighstreet. 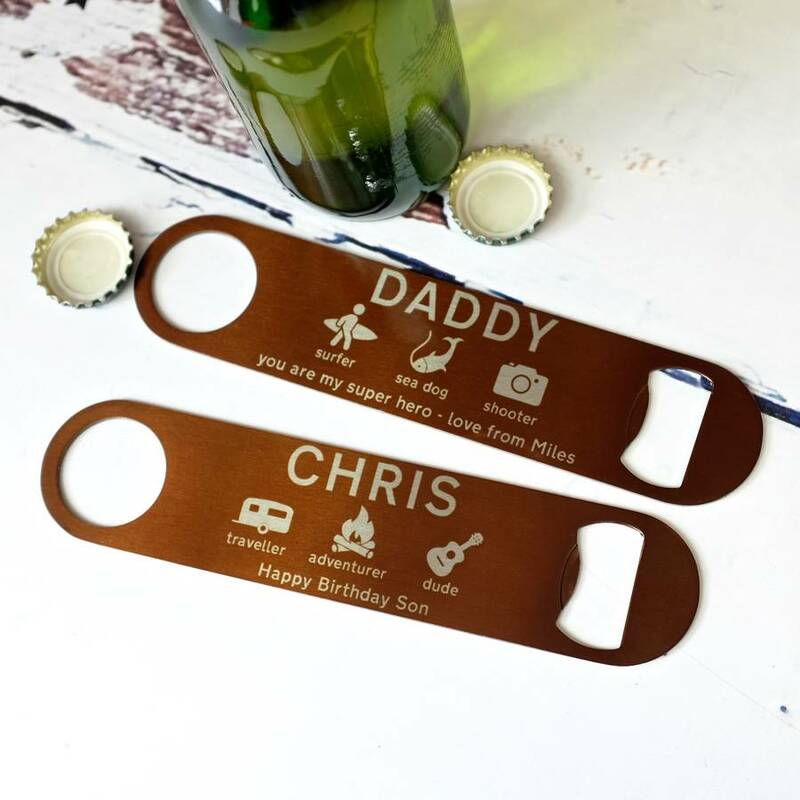 This makes a perfect gift for weddings, birthdays, christmas, or just because. 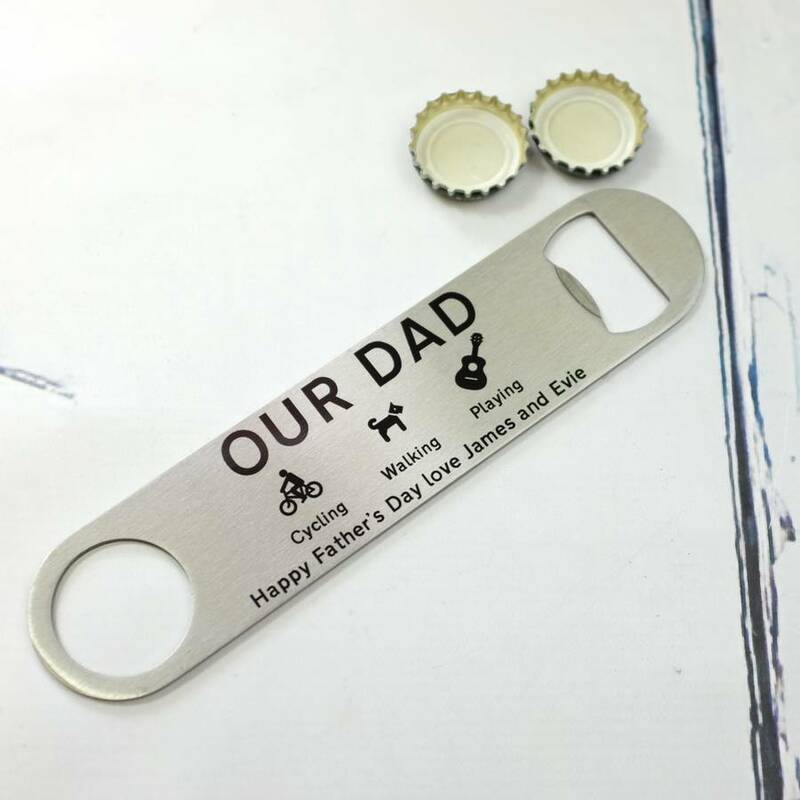 Choose three from 35 different icons to best describe the receiver of this fun bar-blade bottle opener. 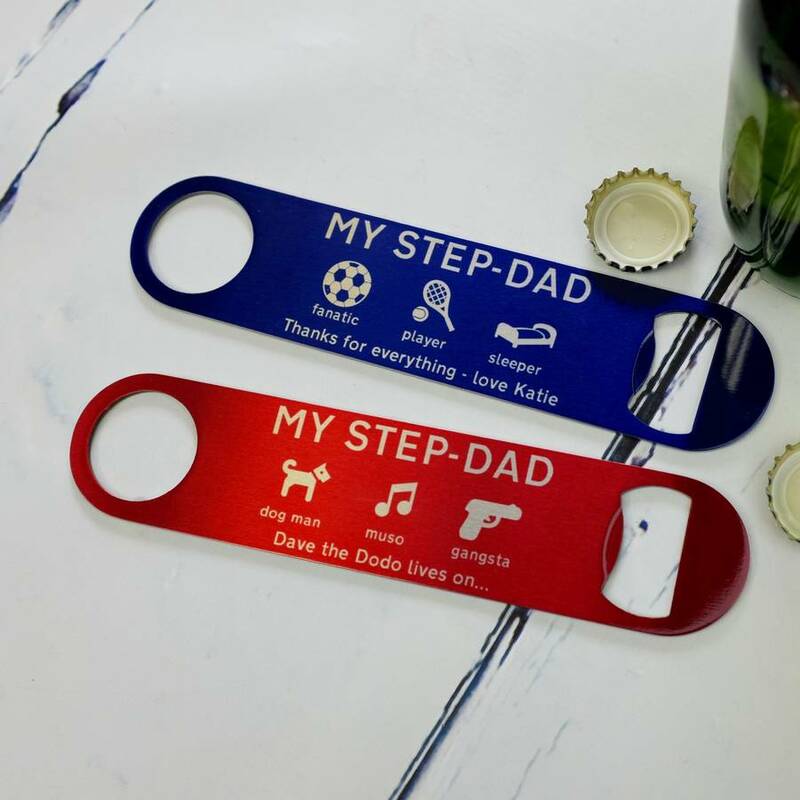 Any time is a bottle opening type of time. 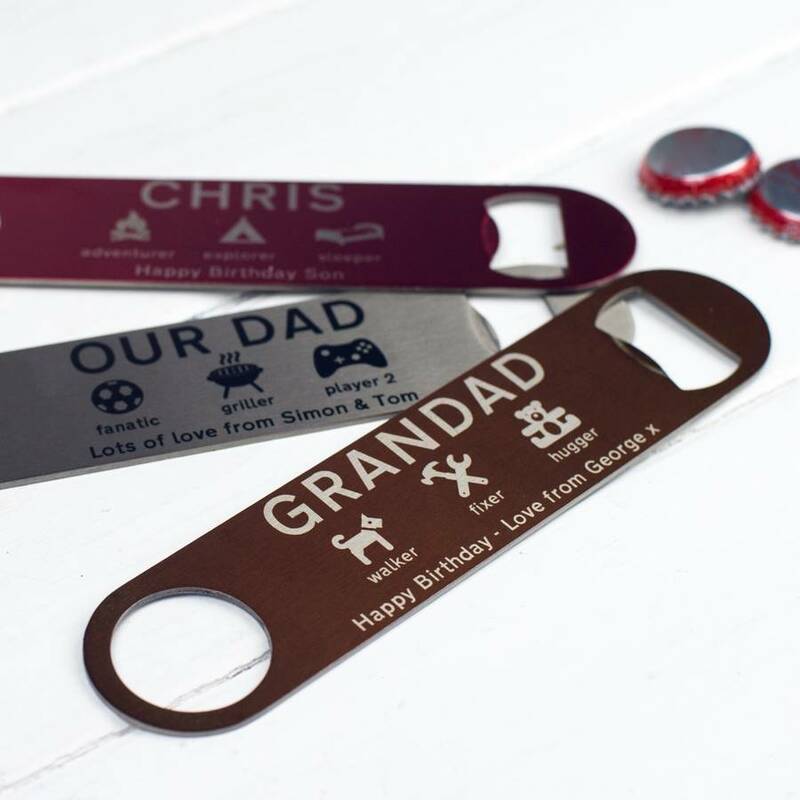 A perfect gift for birthdays, or how about a wedding? 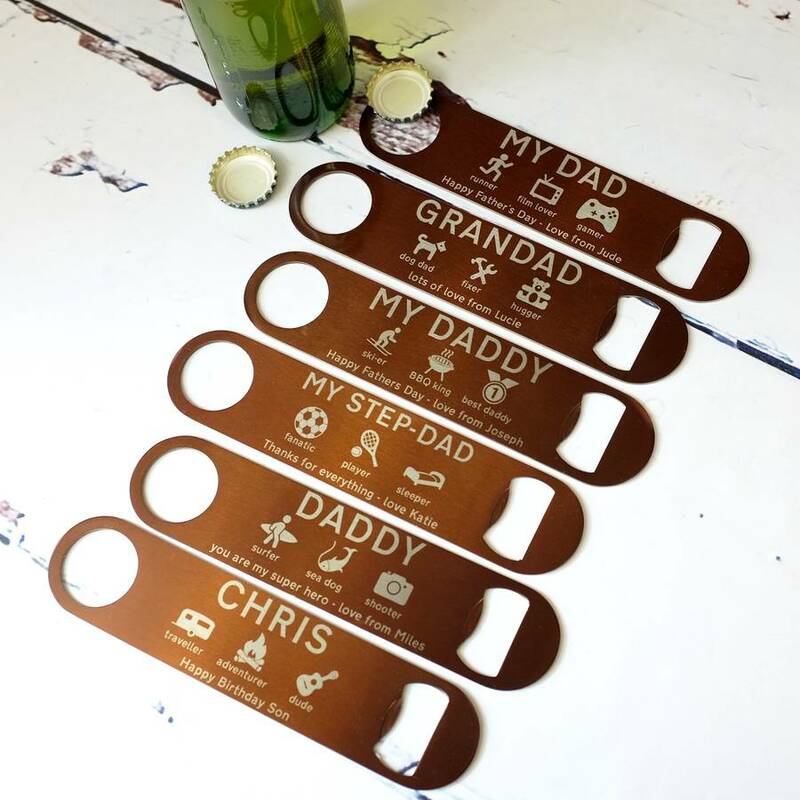 Wedding favours which actually are useful! 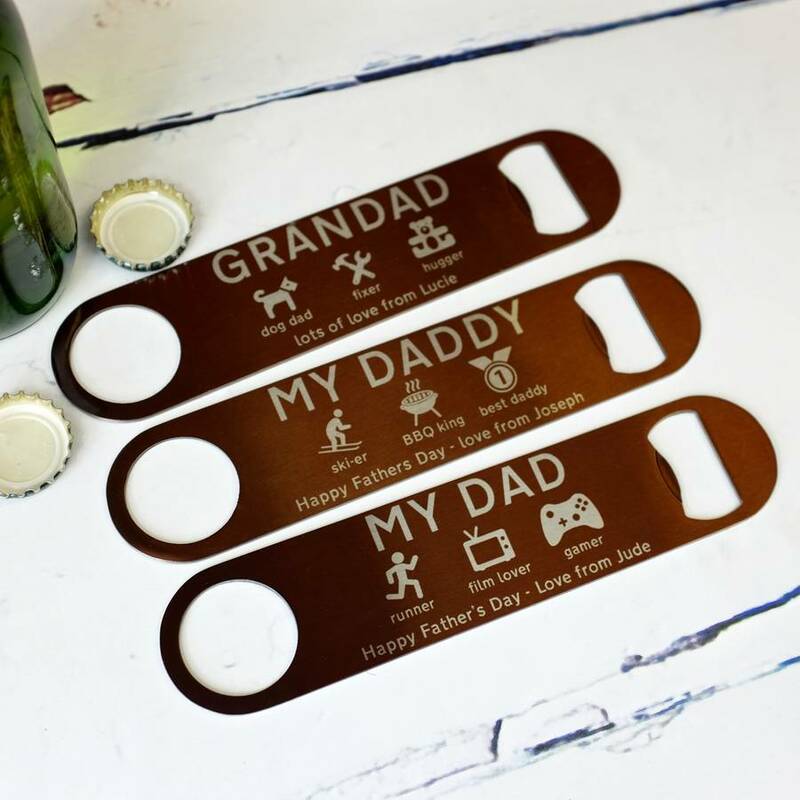 The wording to accompany each icon is up to you (up to 10 characters each), as is the name at the top of the design (up to 25 characters, including spaces), and the wording along the bottom (up to 50 characters, including spaces). 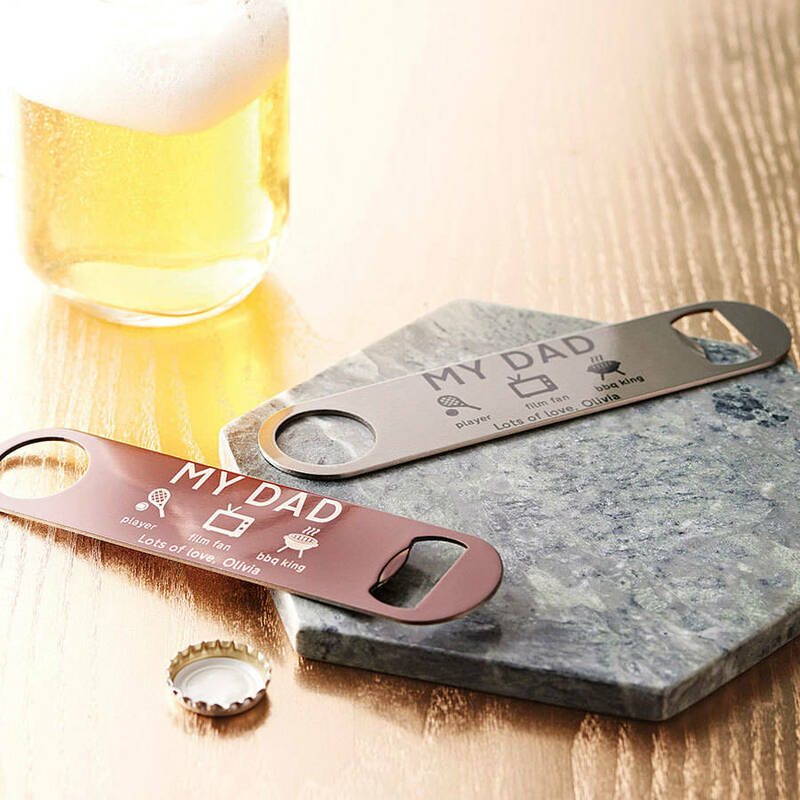 Is Dad a brilliant beer drinker? BBQ master? 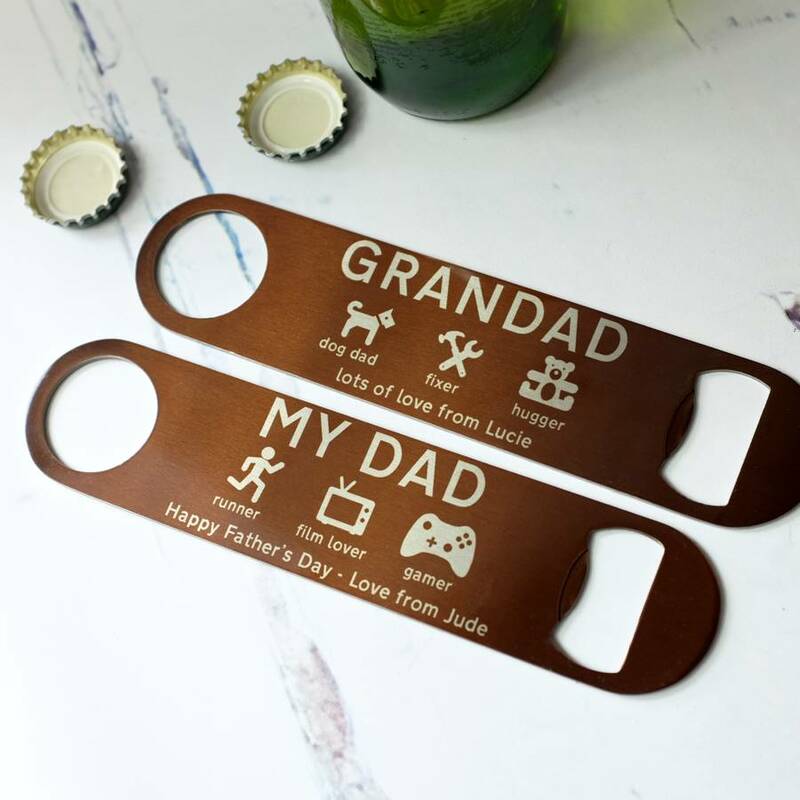 Get him the gift which justifies his love of opening bottles!!! 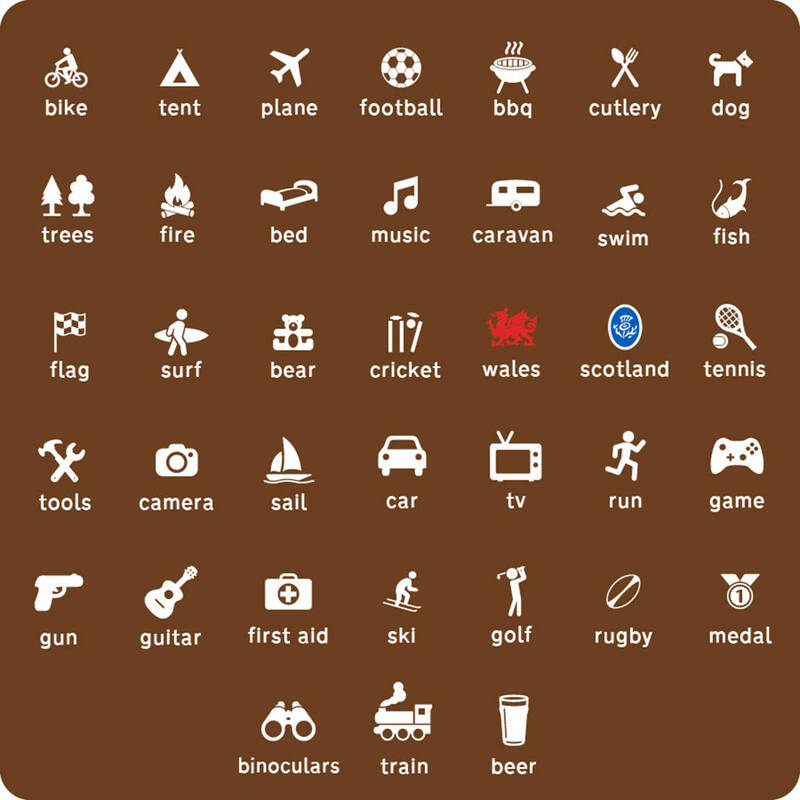 The 35 different icons can be seen in the images. Choose from brown (as shown), red, blue, and silver with black icons. We will design and lay up your individual design for you, choosing type to best fit the design. 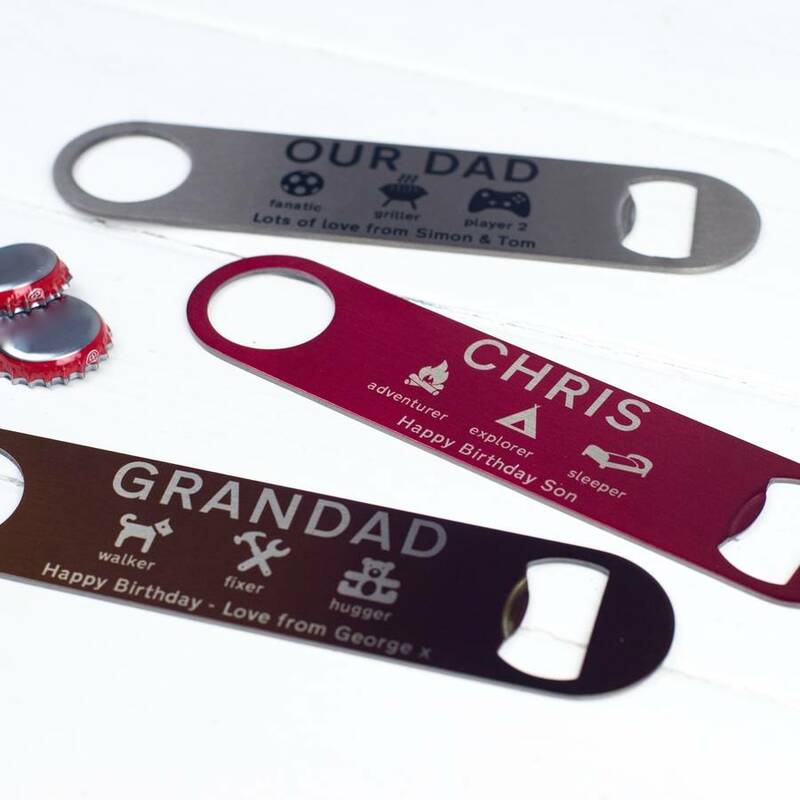 Made from stainless steel and printed. This product is dispatched to you by Auntie Mims.